Patron membership offers a very limited number of businesses an exclusive opportunity to develop a profile their competitors would envy and optimum access to the Chamber network’s power, influence and knowledge. 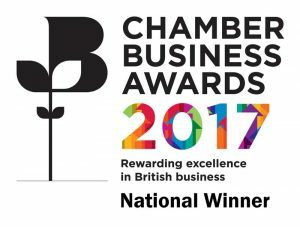 The Chamber Patrons scheme is aimed at businesses who want to take a leading role in the local business community. Our Patrons are influential and prominent organisations who share the values that drive the Chamber forward. Why be a Patron? What’s in it for you? 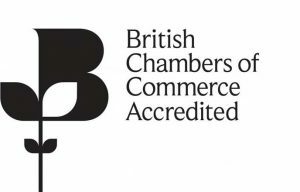 Your support as a Patron gives you a partnership with one of the most powerful Chambers of Commerce in the North West. As such, NWLCC now holds a position of real influence and authority, reporting directly to Government and key business decision makers. As a Patron you have the opportunity to have an influence in the strategic development of the area. Your position as a Patron allows you to receive exclusive invitations and benefit from exclusive opportunities. Your support as a Patron means that you are making a significant contribution to NWLCC in its efforts to provide meaningful support services to the whole business community. Some of the most valuable services are provided free to members but at a cost to NWLCC. All these services are also available to you. Jackson Stephen LLP are one of the most innovative, dynamic and progressive chartered accountancy and business advisory practices in the North West and are proud to have supported businesses in the region since 1921. Their clients are an interesting mix, mostly mid-range, owner-managed businesses involved in a diverse range of industries and sectors. The company has 9 partners and a young and vibrant team of over 70 talented people who are all focused on providing exceptional customer service. Jackson Stephen go beyond the obvious, earning clients’ confidence by suggesting positive ideas and making tangible contributions to their business. What do they do? They aim to get you where you want to be – more quickly, more effectively and more profitably. Perhaps that’s why their clients think of Jackson Stephen as a real asset and why so many of them stay with them for so long. 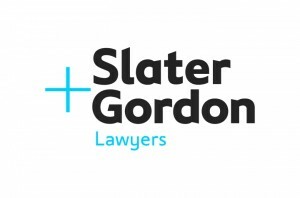 Slater and Gordon is one of the UK’s largest law firms with 3,800 people across 27 locations in England, Scotland & Wales. Slater and Gordon’s mission is to give people easier access to world class legal services. The firm provides specialist legal and complementary services in a broad range of areas. Slater and Gordon help business people across the UK providing legal representation on a variety of areas that are likely to impact you and your business including employment law, professional conduct issues, business regulatory compliance, commercial property and regulatory defence. Team Leyland International Ltd was established in 1993 as a centre of excellence in the exporting of commercial vehicles, parts and technical support. The vision was to offer customers a ‘one-stop’ shop combining technical expertise with exceptional customer service and sourcing capabilities and to offer a complete sales and marketing package to manufacturers who potentially didn’t have the experience themselves to enter export markets. Since 1993 that vision has been realised as the company has established a reputation second to none as a major automotive exporter to customers and dealers around the world. With over 120 years combined exporting experience in the automotive field Team Leyland combines export practitioners with automotive engineering and customer service specialists. 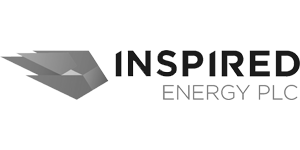 Inspired Energy plc is one of the UK’s leading independent energy consultancies. Our mission is to optimise the value of every pound spent on utilities by our clients. This means working with our clients to solve utility cost, consumption, carbon and compliance problems, any or all of which can impact upon the profitability of businesses if not managed correctly. We work with corporate and SME energy consumers in the commercial, industrial and public sectors to create and deliver long-term cost and efficiency savings. Over £2.5bn worth of annual utilities costs managed. Regardless of how much energy you use, our team of experts can provide you with the correct solution. We will relieve you of the burden of managing the many utility cost pressures currently confronting businesses. This means you can focus on running your organisation as profitably and effectively as possible.